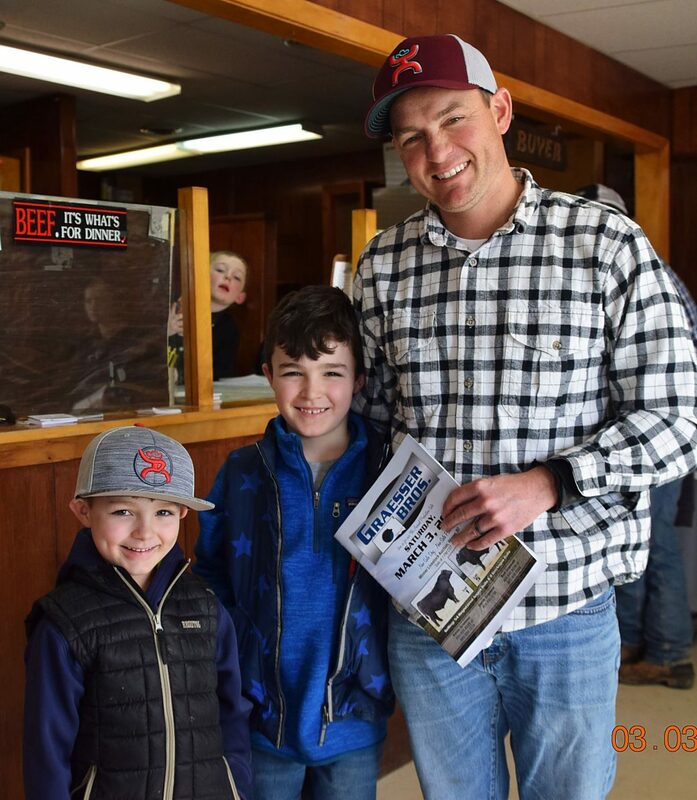 Charlie Grossenburg along with his sons, Haydon and Jackson, purchased a bull from the Graessers. 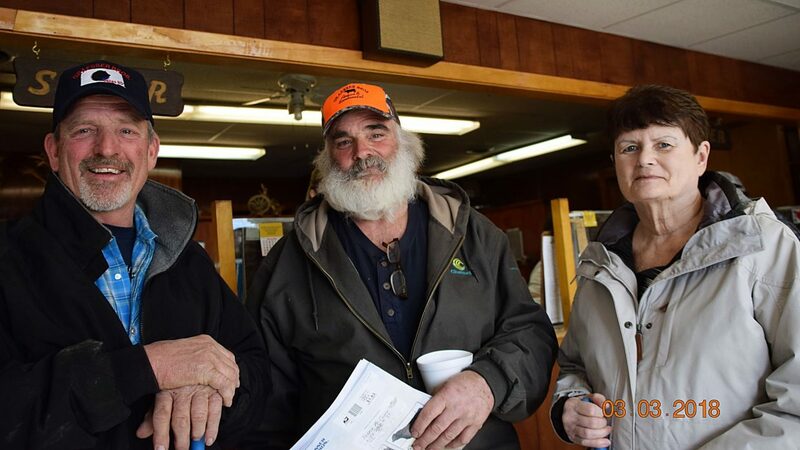 Steve McCance, pictured with Blaine and Carol McCance, purchased two bulls each from the Graesser offering. 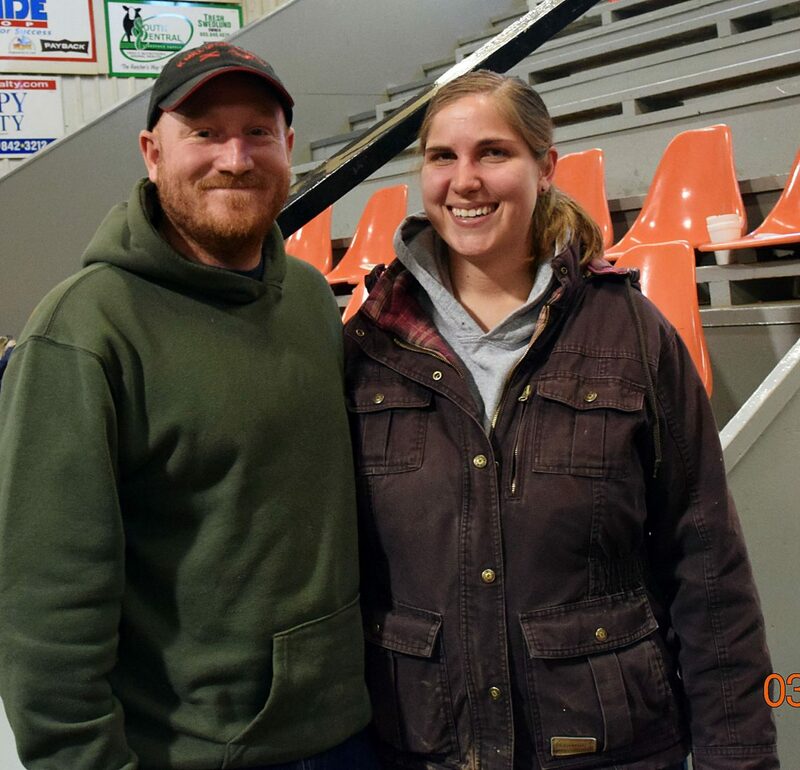 Brad and Laura Kahler were the volume buyers, purchasing six bulls. It was a beautiful spring-like day for the 9th Annual Graesser Brothers Production Sale at Winner Livestock in Winner, South Daktoa. 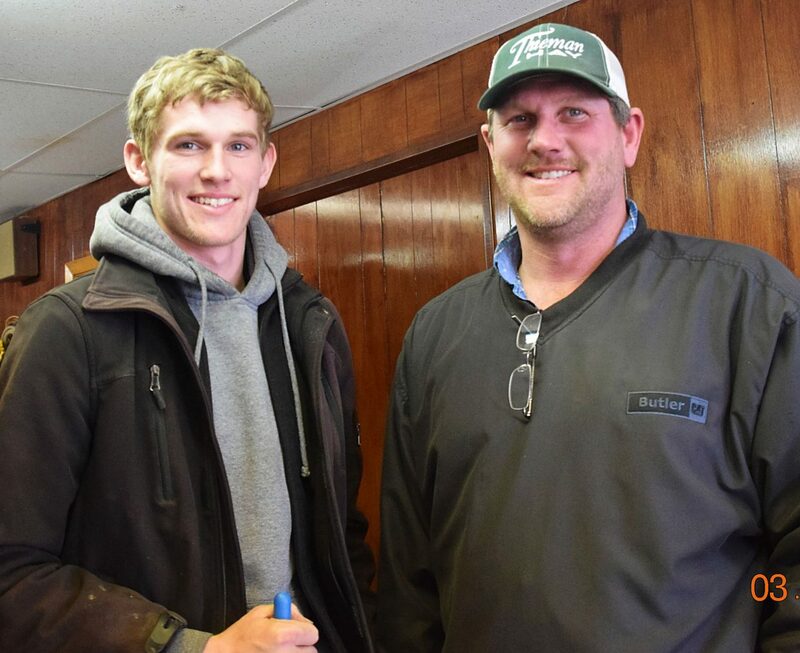 From the opening speeches until the last bull left the ring, it only took auctioneer, Cody Moore, 75 minutes to sell the 56 bulls the Graesser Brothers brought to town. The Graesser Brothers offered bulls with shape, quality, and a world of disposition. The top selling yearling Angus bull was Lot #7, a 2017 January son of "S Chisum" with an adjusted 365-day weight of 1507#. He was purchased by Rich and Sara Grim from Bonesteel, South Dakota for $9,250. Lot #16, "GB Atlas A87E" had some impressive numbers as well and sold to Green Mountain Angus from Ryegate, Montana for $8,000. Closing out the top three selling bulls was Lot #59, a 1/4 Simmental "Registry" bull purchased by Vince Thieman from Colome, South Dakota for a selling price of $7,250. The volume buyers were Brad and Laura Kahler of Colome, South Dakota. The Kahlers put together a set of six Graesser bulls that included two sons of "Musgrave Aviator."